Orders taken until April 10th. 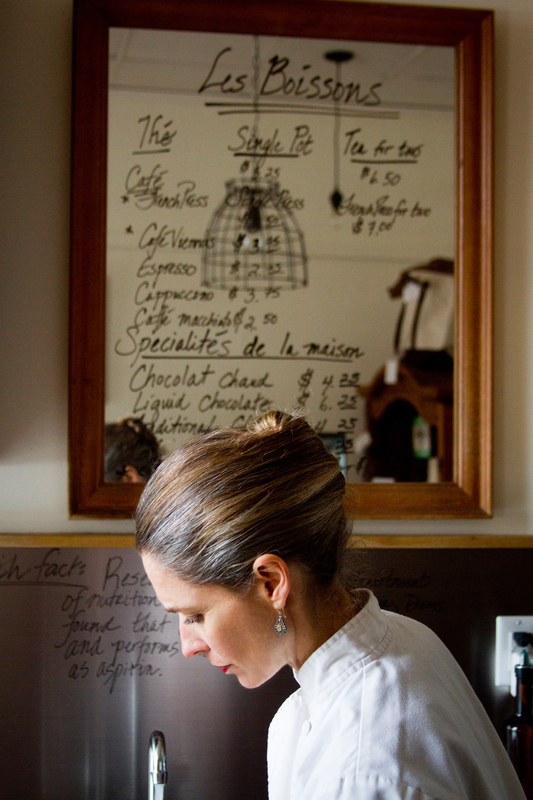 Michele De Luca-Verley founded la maison de COCO with the hopes of sharing her passion for chocolate. She was thrilled to celebrate her appetite and knowledge of chocolate with the clientele every day at the café in Newport, RI. She was living her dream but knew that the internet offered an opportunity to reach a growing audience. She closed the café and devoted her energy to renovating a barn on her property in Portsmouth, RI. The barn is the creative hub of la maison de COCO and home to the atelier kitchen and shipping facility. Today, la maison de COCO offers its clients a delivery service in Newport and Aquidneck Island, as well as shipping directly to a national audience. If you decide to place an order with us, as we hope you do, please know that we will do our best to confirm your order within 24 hours. If you have placed the order after 6PM EST please know that we will receive the order the following business day. Also, please keep in mind that everything we do is made to order so that the turn around time from time of placing the order to ship date could take up to 5 days. Because we are dealing with chocolate, all orders are shipped using USPS, priority mail which delivers within 2 days in most locations in USA. During the months of May through September, packages must be delivered and accepted by a person. We cannot leave a package on a porch and especially not in a mailbox. If you or the person receiving the package will not be home, please know that you will need to pick up the package at the local post office. To see our menu and to place an order please select the button below. Chocolate, wine and stories...what could be better? Truffle and wine tastings provide a wonderful setting for casual conversation while enjoying truffles and wine. Are you looking for a creative, cocktail party idea or an experience to share with your guests during a wedding weekend? Our truffle pairings could be just the answer. Each event is an opportunity to educate our guests’ palates. Allow me, Michele, to guide your guests through a tasting of chocolates from different estates, a discussion of the history of chocolate while bringing their awareness to the subtle layers of flavors in the tea-infused truffles and highlight why I paired that particular wine with the truffle. I encourage the structure of these events to change depending on the hosts and guests. 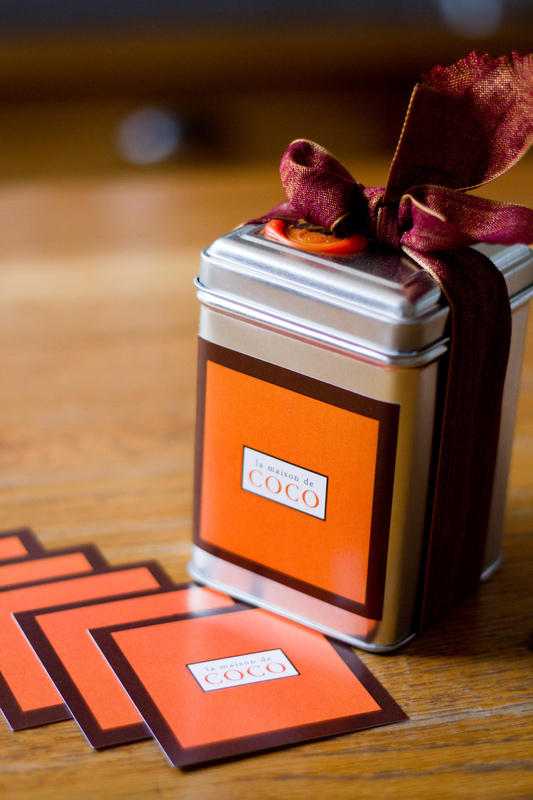 la maison de COCO also offers Truffle and Tea pairings that along with the history of chocolate highlight the tea flavor palate and how it enhances the chocolate truffle. la maison de COCO is also a house with a mission, offering non-profit organizations a way to raise funds by hosting these events. I would love to see you at the next la maison de COCO truffle pairing. To see upcoming pairings please visit our event calendar page. 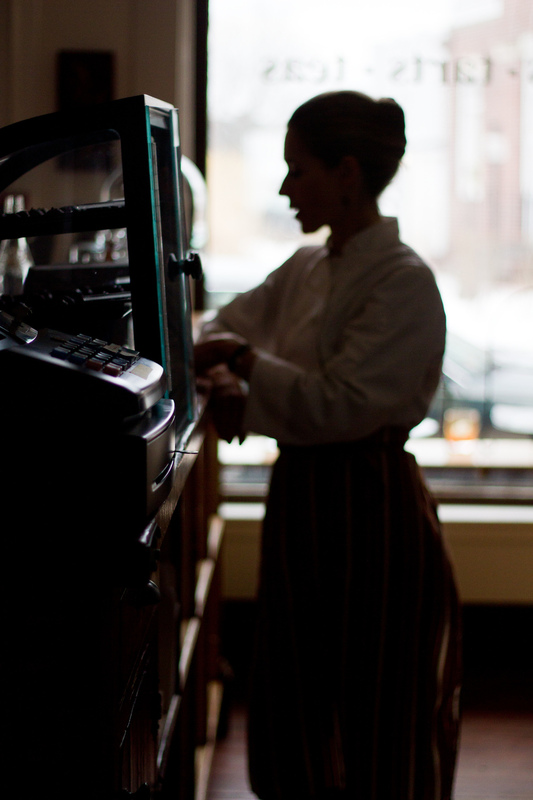 For pricing information about truffle pairings, please contact Chef Michele directly. My fascination with chocolate began in 1989 while I was living with my husband in Clermont-Ferrand, France. We were strolling through the narrow streets of town during the holiday season and we passed a Salon de Thè that we frequented. At this time of year they had transformed the front of the house into a festive display of chocolates: towers of chocolates covered in glass domes and beautiful packages of chocolates on pedestals. As we walked through the door, time stood still and I was overwhelmed with a profound happiness. I knew that I would spend the rest of my life with chocolate, trying to share its history and its sublime pleasures with others. Since that fortuitous moment, I have spent 25 years refining my recipes while combining my two passions: tea and chocolate. By balancing their unique flavors I feel more like an alchemist than a chocolatier, allowing tea and chocolate to celebrate each other! I begin with chocolate made by the french manufacturer, Valrhona, that honors fair trade and biodiversity while sourcing its cacao. I then use local, farm-fresh cream produced by a family-owned farm that is dedicated to sustainable farming practices. They shun growth hormones and nurture their cows in a pesticide-free environment. For 20 years I have been loyal to a company that sources its teas directly from farmers in India, Japan, China and Thailand, offering an assortment of organic teas. My desire is that you experience this collaborative of love, dedication and passion in each bite of our chocolates and truffles. la maison de COCO is committed to maintaining the highest standards of excellence in the kitchen. The cream I use for the truffles comes from a local, Rhode Island farm where practicing sustainable farming is a priority. Shunning growth hormones, they also nurture their cows in a pesticide-free environment. My desire is to present our clientele with confections made with pride, passion and the finest couverture choosing, whenever possible, ingredients from local farmers who are committed to sustainable farming. I truly believe that by taking the extra time to pick farm-fresh ingredients from the rich agriculture that surrounds us, or by taking the extra time to hand-roll and hand-dip truffles, la maison de COCO is able to offer tea-infused truffles and chocolates that are not only pleasures for the eye but also treasures for the taste buds. Photography courtesy of our friend, Sophie Kuller.